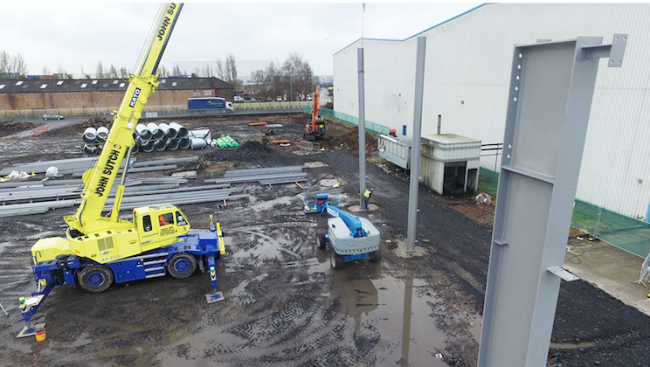 Dams, the office furniture specialist, has announced that work is well underway in building a new multi-million pound UK manufacturing facility at their head office site in Knowsley, Merseyside. 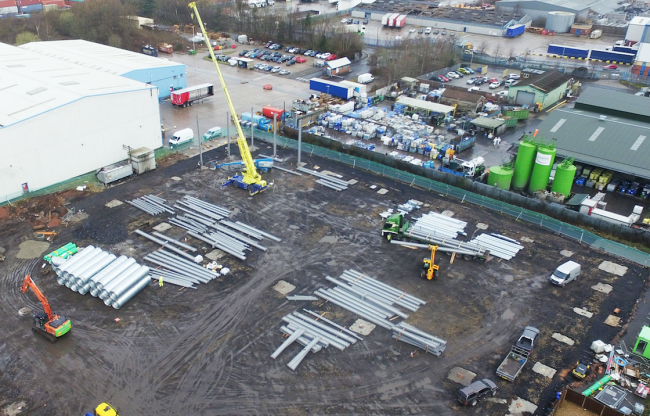 The new 85,000 sq ft building is due to open in October 2018, consolidating the 4 sites that Dams currently operate from on Knowsley Industrial Park into one larger site to improve operational efficiencies and boost their UK manufacturing capabilities. Over 80% of products in the Dams product portfolio are already manufactured in the UK using the latest manufacturing technology, ensuring the highest level of quality. In 2017, Dams manufacturing operations made a record number of furniture products. The wood factory produced over 1.8 million wooden panels in the last year with the upholstery department producing over 2,000 upholstered products every week. All products are designed to comply with the latest European and British quality standards. Products are also tested by FIRA which is a truly comprehensive service for the furniture industry and provides solid reassurance to customers that Dams products have attained an excellence that has been independently verified. This investment in UK manufacturing will also ensure that Dams can reduce lead times on their expanding portfolio of made-to-order products. Dams said manufacturing in the UK also means that they are protecting and developing the skills needed for the office furniture industry of the future, ensuring they create a legacy of quality British-made products that are fully traceable and built to last.